The Oak Ridge National Laboratory (ORNL) is a U.S. Department of Energy, multi-program research and development (R&D) laboratory. ORNL performs world-leading R&D in a range of disciplines including neutron science, high performance computing, advanced materials, nuclear science and engineering, biological and environmental science, energy efficiency, and global security. This presentation provides the history of the establishment of ORNL and traces ORNL’s evolution from a Manhattan Project facility to a world-class laboratory today. Current capabilities are described, and the presentation focuses on the range of nuclear R&D programs that are performed at ORNL. Dr. Alan Icenhour became the Interim Associate Laboratory Director (ALD) for the Nuclear Science and Engineering Directorate (NSED) at ORNL in December 2013. As ALD, Dr. Icenhour leads three research divisions (Fusion and Materials for Nuclear Systems, Nuclear Security and Isotope Technology, and Reactor and Nuclear Systems), one operating division (Nonreactor Nuclear Facilities), and the Consortium for Advanced Simulation of Light Water Reactors, the U.S. DoE’s first energy innovation hub. NSED mission areas include research and development for both fission and fusion technologies; advanced modeling and simulation; stable and radioactive isotope R&D and production; research, development, and deployment of technologies to address nuclear security challenges globally; and safe and efficient operation of ORNL’s nuclear facilities. 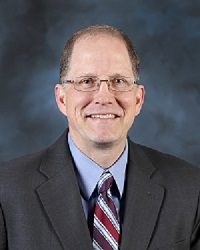 Since July 2008, he has served as director of three ORNL divisions: the Global Nuclear Security Technology Division, the Fuel Cycle and Isotopes Division, and most recently the Nuclear Security and Isotope Technology Division. Dr. Icenhour joined ORNL in 1990. His 27 years of nuclear experience have included R&D on a range of fuel cycle topics such as enrichment, radiochemical processing, stable and radioisotope production, nuclear fuels, radiation effects on materials, radioactive waste management, and nuclear security. He completed a 21 month special assignment in Washington, D.C. as a Senior Technical Advisor to the Proliferation Detection Program within the Office of Nonproliferation Research and Development (NA-22) of the NNSA. Before joining ORNL, he served as a commissioned officer in the U.S. Navy on a nuclear powered submarine. After leaving active duty, he continued his service with the Navy as an active reservist, retiring in August 2010 at the rank of Captain (O-6). He received his B.S. degree in nuclear engineering from North Carolina State University, and his M.S. and Ph.D. degrees in nuclear engineering from the University of Tennessee. He is an Adjunct Professor of Nuclear Engineering at the University of Tennessee, and he is an active member of the ANS and the Institute for Nuclear Materials Management.